Within the past few days I have read several articles that really make the case for linking education, government, and business for education reform that could help grow the economy. One that particularly caught my eye was the recent U.S. News and World Report's article, U.S. Needs New Educational Model for Economic Growth. The article mentions the increasing need for at least two years of postsecondary education or training to fill an estimated 14 million jobs over the next 10 years in industries such as healthcare, information technology, business, etc. Although funding is a part of the answer for meeting this education need, a call for increased collaboration between businesses, educators, and government entities to leverage existing resources is more critical. 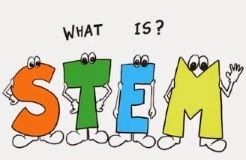 A "21st century" career and technical education program (CTE) that provides a seamless link between high school, postsecondary coursework, and much needed STEM careers. A professional apprenticeship program that utilizes federal work-study funds to pay salaries for off-campus jobs that are relevant and directly connected to the students' academic majors and intended careers. Although the models themselves are not new, the strategies have been re-focused to bring relevant experiences to students as soon as possible that lead to meaningful lifelong employment, particularly in critically needed STEM fields. The cost? Innovative thinking and collaborative planning by education, business and government.